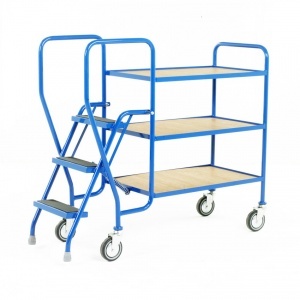 Medium duty picking trolley with spring loaded steps - perfect for stock picking and re-stocking functions. The cleverly designed step mechanism that is attached to one end of the truck, locates firmly on to the floor when weight is applied to the bottom step. 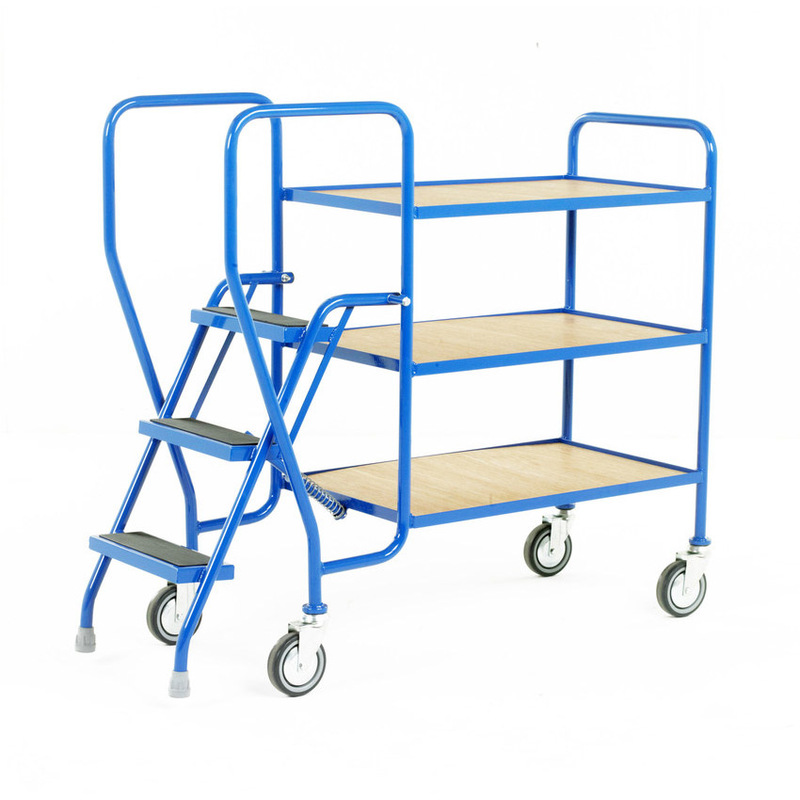 The main benefit of a step trolley like this is that when you take the trolley you always have a set of steps on hand. This reduces the wasted time of finding the steps, carrying them around the stockroom or warehouse and then putting them back. There are two shelf options to choose from: Steel trays have a 20mm all-round lip and blue epoxy finish, plywood shelves are recessed with a 10mm lip. Safety Note: We recommend a working height of no more than 1.5 metres above the top tread.